Although the Belarus is struggling to deal with a dramatic economic decline, the authorities are considering hosting a large international sporting event in 2019. On 9 January, Belarus established a committee to organise the 2019 European Games. The games, managed by the European Olympic Committee, resemble the Pan-American and Asian games. 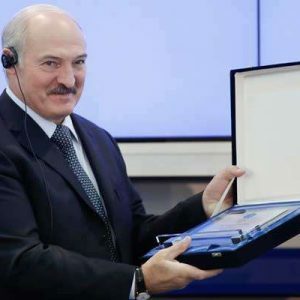 Last October, Lukashenka stated that Belarus was ready to host the games in 2019. But Belarus, with its struggling economy, is unlikely to benefit from the second European Games, as money raised from tourism will not cover the significant expense of organising them. What are the European games and how much do they cost? The European Games are a competition similar to the Asian and Pan-American games; the idea was devised by Patrick Hickey, head of the European Olympic Committees. Hickey's main goal was to stimulate sports development in the region and improve the service and commercial sectors linked to it. At a meeting of the European Olympic Committees in 2012, members voted for Azerbaijan as the first hosting country. The choice, however, was not controversial, as Azerbaijan was the only candidate. Azerbaijan saw the games as an opportunity to attract as many tourists as possible, and spent lavishly on the organisation of the first Games. In 2013, Azerbaijan constructed a new stadium capable of seating 68,000 spectators, as well as almost 20 other large sporting facilities. Lady Gaga, one of today's most expensive pop-stars, sang at the opening ceremony of the games. An investigation conducted by the BBC showed that the budget of the games came to more than $5bn, but some analysts believe the figure to be closer to $9bn. Considering the scope of the first European Games, Belarus should be ready for large expenditures. At the same time, the current economic situation in Belarus indicates that the second European Games will be less of a luxury affair than in Azerbaijan. Although the European Olympic Committee will contribute to financing the event, the hosting country nevertheless bears the major costs. Belarus is actively preparing for the 2019 games. Andrej Kabiakoŭ, the Belarusian Prime Minister, became the head of the recently launched organising committee and in the beginning of January, a representative of the European Olympic Committee paid a visit to Minsk. He concluded that the sports facilities, such as the Minsk Arena, the rowing channel in Zaslaul, and the Sports Palace are ready for the European Games. By hosting the 2019 European Games, Belarus hopes to attract more visitors and significantly increase income from tourism, especially given the new visa-free regime. The low prices of food, drinks, and entertainment in Belarus might bring in more spectators to the 2019 games. For example, in the beginning of 2017 the prices for milk (0,6$), eggs (1,2$), rice (1,8$), table wine (4,0$), and lunch in a cafe (3$) are one and a half times lower than in Lithuania and twice lower than in Italy. The games in Belarus could also have a positive effect on the service sector. Recently, Belarus started to open up to the world, first introducing a visa-free zone, then later allowing visa-free entrance through the Minsk airport. In order to live up to a more international standard, new restaurants, hotels, and entertainment already offer Belarusians better service than before. For example, in 2016 Uber grew faster in Minsk than in Warsaw, Moscow, or Rome. The Games could also have a positive impact on the country by improving its image. If Belarus continues down the road of simplifying visa restrictions and developing its tourism industry, the image of Belarus as a poor dictatorship could soften. Although the second European Games could have a positive effect on the country, whether the Games are really worth the effort overall is dubious. The financial instability in the country and political and economic uncertainty raise questions about the capability of Belarus to host the games. The GDP of the country is falling – since 2014 it has decreased by $30bn. Despite the possible financial boon for restaurants, hotels, and entertainment, the state budget will most likely incur large costs. The budget of the games risks being funded by redirecting money from other, more deserving sectors. Thus, the state could try to transfer money from the budget of other fields to invest in the games, although other spheres, such as education, are underdeveloped. Despite the fact that the unemployment level has dropped to 0.8%, the level of poverty in the country is growing, and now almost every 20th person lives below the poverty line, despite being employed. Authorities could provide significant assistance for people in need. For example, Belarus currently taxes "social parasites" to boost the state budget instead of supporting unemployed people. Belarus already had a negative experience with the World Hockey Championship, when it spent a lot of money but failed to make a profit. According to various estimates, Belarus spent anywhere from $12m to $2bn on the championship. During the 2014 World Hockey Championship, Belarus had to deal with many inadequacies in the service sector. The country had not built enough affordably-priced accommodation such as hostels or apartments on student campuses. For visitors, it was often difficult to communicate, as the majority of people in Minsk do not speak English. As a result, Belarus could not be consistent with providing quality conditions for spectators nor did it financially benefit from the Championship. However, it seems that the financial difficulties of the Hockey Championship have not stopped Belarus from hosting the European Games in 2019. Belarus has just started preparing for the Games. However, many people are already criticising the country's snap decision to take a responsibility for hosting them. While poverty in Belarus is on the rise, the state prefers to invest in sporting events, distracting attention from the economic problems and human rights violations. It still remains to be seen whether the game will be worth the effort. On 24 January, the Court of Arbitration for Sport (CAS) in Lausanne rescinded the Belarusian national rowing team's suspension. The International Canoe Federation (ICF) had banned the team in July 2016, just a couple of weeks before the Olympics in Rio. Justice triumphed. 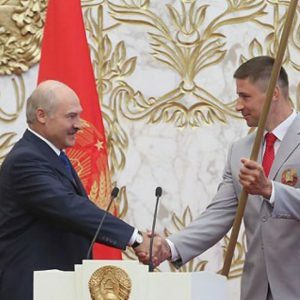 Belarusian sport officials claim that due to the ban, Belarus had lost at least three Olympic medals, and they intend to seek compensation from the ICF. According to the sport ministry, $750,000 were spent to prepare the rowers for the Olympics. This is not the only recent doping scandal. In November 2016, the International Olympic Committee (IOC) deprived Belarusian athletes of three medals won in Beijing in 2008. Over the last twelve years, Belarus has been deprived of ten Olympic medals because of doping related charges. However, two of them were returned after appeals. In most of cases, Belarusian officials and public opinion side with the athletes. Even very highly-positioned sport officials publicly accuse international sport organisations of corruption and see conspiracies against Belarus regardless of whether athletes are guilty or not. The investigation of the rowing team started in April 2016 when the French anti-doping agency, accompanied by police, raided the Belarusian national rowing team's training-camp in Le Temple-sur-Lot, in southern France. According to tests, five Belarusian athletes had recently been using the banned drug meldonium. Members of the team stated that the athletes had used permissible doses of the drug for therapeutic purposes. Nevertheless, the investigation led the ICF to ban the Belarusian team several weeks before the Olympics. The Belarusian sport ministry defended the national team from the very beginning. Several days after the police raid, vice-chair of the Sport Ministry Aliaksandr Gagiev declared that the purpose of the raid was to hinder the Belarusian team from properly preparing for the Olympic season. After the ICF banned the team in July, the aggressive rhetoric from the Belarusian authorities continued. In an official statement, the Ministry of Sport accused the ICF of drawing out the case unnecessarily. According to the officials, the team was eliminated in order to prevent Belarus from winning medals in rowing. The statement also hinted at corruption within the ICF. After the court rescinded the suspension towards the end of January, officials stated that they would seek monetary compensation. Despite the fact that half a year had passed since the Olympics, comments from officials remained very emotional. The coach of the national rowing team, Uladzimir Shantarovich, confused journalists with odd and unnecessary statements. In an interview with the popular Belarusian news portal tut.by he claimed: 'They think Belarus acts the same as Honduras and we swallow it all.' Why the coach chose a Central American country for comparison remains unknown. In another interview, the coach threatened to humiliate ICF functionaries during the European Games, which Belarus is set to host in 2019. He wanted to force them to sweep courtyards with brooms. Several years ago, there was much discussion in Belarus about the criminalisation of doping. However, the use of performance-enhancing drugs is not treated as a serious offence. Top athletes accused of doping have never been strictly punished by the authorities. None of them ever returned the awards they received from the government for their victories in the Olympics. Last November, after the IOC announced that it would deprive three Belarusian weightlifters of their Olympic medals, the press-secretary of the National Olympic Committee stated that the prize-money would not be be taken away because the law does not provide for such a procedure. Obviously, government officials sympathise with the penalised athletes. One of the most well-known doping cases is that of Nadzeya Astapchuk. She was deprived of the Olympic gold medal in shot put which she had won in 2012 in London. After tests proved that she had used methenolone, her coach stated that he had put the drug in the athlete's cup of coffee during a lunch break and Astapchuk hadn’t noticed it. In many countries, victories in sport open doors in politics, business, and the entertainment world. But involvement in doping scandals usually means the end of advertising contracts and public condemnation for athletes. In Belarus however, the situation is different. In September 2016, the leader of the suspended rowing team, Aliaksandr Bahdanovich, won a seat in the Parliament. It should be noted that he was one of five rowers which the ICF had accused of doping, and he received the post while the suspension was still in effect. The 34-year-old athlete became the second Olympic medalist to enter parliament and got a position on the Permanent Commission on National Security. A similar story happened with another medalist: current deputy Vadzim Dzieviatouski. The silver medal he had won in the hammer throw in 2008 was recalled due to a doping violation, but later reinstated in 2010. He won a seat in the Parliament in 2012. Doping-related controversies did not prevent him from heading the Athletics Federation of Belarus in 2014. It goes without saying that both deputies tow the official line. Aliaksandr Lukashenka is well known for his love of ice hockey. He also plays tennis with Viktoria Azarenka and publicly advises the Belarusian biathlon star Daria Domrachava on how to win. Sport champions enjoy great popularity in Belarus and can often be seen on Belarusian billboards and on TV. Most athletes are very loyal to the government. For this reason, involvement in doping scandals does not seriously influence their social status within the country. As in Russia, accusations of doping are often perceived as foreign meddling in Belarusian professional sport. The rowers’ case shows that doping accusations can even lead to a career in politics. The public sees athletes as victims of international conspiracies, often turning them into martyrs. Even when the guilt of top athletes is unquestionable, they receive lenient punishments and sympathetic treatment from the authorities.